Jinan Tenma Machinery Co., Ltd. Welcome to visit Jinan Tenma Machinery Co., Ltd. Since 1993，for 26 year Professional focus on research&development, manufacturing, sales of CNC machinery. Tianma machine has passed ISO9001 quality system certification, 315 quality credit service consumer satisfaction commitment unit. Selected high-quality accessories to ensure reliable operation. Adjacent to international logistics base, to ensure timely supply. Professional technical personnel on-site installation commissioning. Professional after-sales service team, 24 hours online. Equipment warranty for one year, main import parts for two years, life-long maintenance. Jinan Tenma Machinery Co., Ltd. CNC department, since its inception, has been focused on CNC engraving machine R & D, production and sales. Company regard CNC engraving machine innovative and progressive as responsibility, and regard manufacture and sale of first-class CNC engraving machine as the goal. Constant innovation and excellence. 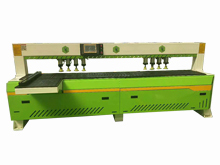 Tenma Machine product own series model CNC engraving machine, has been widely used in woodworking, advertising, machinery, molds, stone processing and other industries. Products through the ISO9001-2000 quality system certification, in accordance with CE standards, strict quality control, providing customers with ten series, more than one hundred varieties and specifications of CNC engraving products. All Rights Reserved. © 2019　Jinan Tenma Machinery Co., Ltd.